epiGenesys is a not-for-profit software development company wholly owned by the University of Sheffield. We believe in working in a collaborative environment, and being honest and transparent with our customers. Software development for customers is at the heart of our daily activities. We work on projects that make a real difference, from growing the efficiency of complex operations, to assisting in the progression of innovative research. We are also passionate about practical education. Many of us contribute to the operation of Genesys, our student-led software development organisation. We use agile practices and prefer to self-organise, however we have some processes and guidelines in place to ensure everyone shares a common approach. We aim to constantly improve the way we do things and encourage everyone to have input into this. We manage our own time around the needs of our roles and our colleagues. We recognise the importance of fitting work around family commitments. Our modern offices are located at Cathedral Court in the city centre. They offer a relaxed working environment with air conditioning, spacious desks, and a variety of plants. We have 28-32 days annual leave each year, plus all UK public holidays and four closure days. We self-organise to accommodate each other's leave preferences. We like to be open about the company's performance. Our financial health is shared in a dashboard, and we publish our gender pay gap information. We aspire to be a great place to work, and we believe we get a lot of things right. In the last seven years only two permanent staff have moved on. 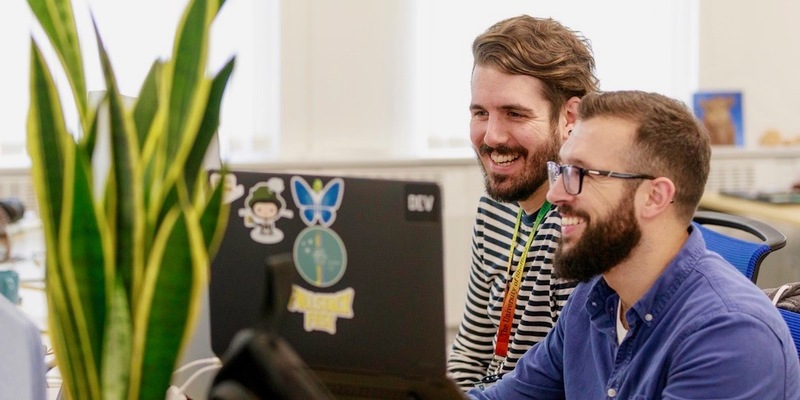 We use our individual training budgets of at least £1,500 each year to take courses, or to attend conferences such as Full Stack Fest and Lean Agile Scotland. 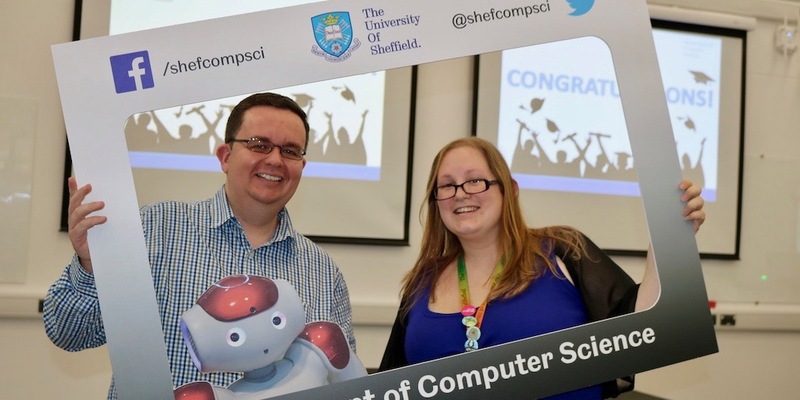 We actively participate in Sheffield's digital community. 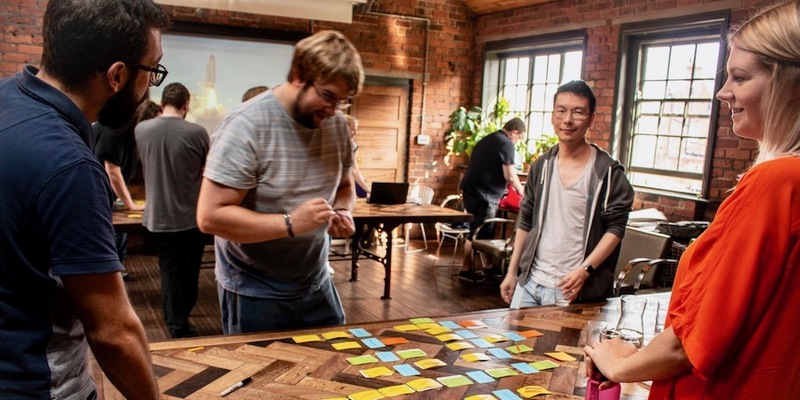 Several of us organise meetups such as Geeks in the Pub and the Sheffield Ruby User Group. We enjoy getting together for our annual summer social and Christmas party. We also like the occasional team lunch or board game in the office. Our offices benefit from the latest technology including high speed internet access, Gigabit Ethernet networking, 802.11ac Wi-Fi, and VoIP telephony. We use the best tools for the job including products such as GitLab and Slack. We also built epiManage, our bespoke project management tool. We have equipment to help us work effectively including laptops, large monitors, and smartphones. We use either an Apple MacBook Pro, or a Dell XPS running Ubuntu. We have access to IT, library and study facilities at the University of Sheffield. These include The Diamond, the Information Commons, and the Western Bank Library. Liaising with customers and users to ensure our software meets their needs. Turning conversations into user stories that capture goals and acceptance criteria. Designing and implementing software, and using automated testing to ensure high quality results. Deploying software regularly and encouraging feedback from customers and users. Giving constructive feedback on projects being undertaken by other team members. Ensuring information is easily available, including documenting procedures and updating our staff handbook. Maintaining existing software and providing technical support to users. Supporting teaching activities, including preparing learning material and assisting in classes. Improving processes and implementing changes. You have good verbal and written communication skills in English. You enjoy working with customers and colleagues in a friendly and professional manner. You have experience with one or more dynamic programming languages. You have knowledge of database design, version control, and automated testing. You are educated to degree level in a relevant discipline, or have equivalent experience. You have worked in the software development industry (minimum of one year). You have experience of agile software engineering practices. You have experience with Ruby on Rails, RSpec, PostgreSQL, and/or Git. You have knowledge of Kanban, Lean, and/or retrospectives. Permanent, subject to six months probationary period. Full time, Monday to Friday, 35 hours per week (excluding lunch). Part time and compressed hours can be considered. Two months (one month during probationary period). £24,000-£28,000 per annum. Some of this can be taken as childcare vouchers. Minimum of 40 days (28 days, plus all UK public holidays, plus four closure days). Company scheme with matched contributions (5% of salary). Leading some of our more complex projects, and possibly turning bespoke projects into products. Improving our software engineering practices, including mentoring less senior team members. Supporting teaching activities, including managing learning material and facilitating classes. You have experience of leading projects in a team environment. You have worked in the software development industry (minimum of three years). £30,000-£34,000 per annum. Some of this can be taken as childcare vouchers. Minimum of 44 days (32 days, plus all UK public holidays, plus four closure days). Please ensure that your covering letter states the position for which you wish to apply, indicates your salary requirements, and confirms your eligibility to work for us in the United Kingdom. Before a contract of employment is signed you will be asked to provide acceptable evidence of your eligibility to work; please refer to UK Visas and Immigration for full details. Please ensure that your curriculum vitae includes your full contact details, summarises your education and any academic/professional qualifications, outlines your relevant skills, describes any relevant work experience, and includes contact details for a minimum of two references. We value diversity and do not discriminate on the basis of race, religion, colour, national origin, gender, sexual orientation, age, marital status, veteran status, or disability status. Personal details such as your date of birth and gender should not be included in your application. Applications will be reviewed at the earliest opportunity, and if we have any queries you may receive a request to forward additional information or participate in a telephone interview. Applicants who pass the initial review stage will be invited to visit our Sheffield offices to learn more about the role. You will also participate in a panel interview, and you will have an opportunity to ask any questions. Following this you will be notified as soon as possible of our decision.